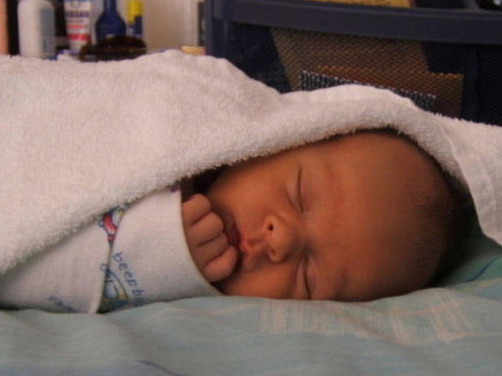 Babies can potentially cost a lot of money but in reality they don't need much more than love, warmth and protection. First time parents especially, in their excitement to welcome their new offspring, often go completely overboard when buying items for their baby. There are so many baby items available but most of the time we end up buying items we never or hardly use and loads of clothes, so much so that our baby hardly gets to wear an item more than twice! So what do you really need and where can you cut costs? I am not completely convinced cloth diapers are always the more frugal or most practical option. I do not have a tumble dryer and in winter, when it rains here in Cape Town, it is very difficult to wash and dry items. If, however you have more than one baby in diapers, then cloth diapers would be a cheaper alternative. But at the end of the day I believe that we all need to decide what will work for us within our own set of circumstances. You need to decide for yourself if the time, detergent and electricity used to wash and dry cloth diapers is indeed more cost effective and more environmentally friendly than using disposable diapers. I'm not convinced it is. Make your own baby and toddler food . This is by far much cheaper and healthier than store bought baby food. Cook all your baby's food for the month over one or two days and freeze the individual portions in ice cube trays for a smaller baby and later in small glass bottles. A few baby food recipes will give you a good idea how to prepare food for your baby and toddler - with a bit of practice you soon will create your very own food combinations. Introduce new tastes and food gradually. Kids outgrow their clothes so quickly that I happily accept hand-me-down clothing from family and friends - in fact 80% of my children's wardrobe consists of clothes handed down by friends and family. Even if your friend or family member's children are a few years older than yours - don't be shy to ask them if they will pass clothing on to you when their children have outgrown them. You can always put the clothes away for a few years. If you don't have access to hand-me-downs, then consider Second-hand clothing stores, factory shops and car boot sales. People often don't know what to do with their second-hand items (clothing or toys) and will be just too happy to part with it at a very affordable price. Hand-made clothing (by Granny or an Aunt) is also always welcome! If you can make your children's clothing then I would definitely recommend that you do. Just remember that babies do not need much in the first few years of their lives. And what can you do without? A list of unnecessary items. New-born babies do not need any toys at all. You will find that your baby or toddler often end up playing with the packaging rather than with the toy inside. Wait until your baby is at least 6 - 8 months old before buying any "real" toys - like a soft ball, teddy and colourful baby book to begin with or make your own toys. Babies and toddlers do not need lots of toys. You can entertain them by giving them a wooden spoon and one of your pots to bang on, for example or give them access to your plastic container cupboard. Here are some more homemade baby toy ideas and ideas to entertain your toddler. Here are also some Frugal Fun Ideas for the whole family. A child won't miss what he never had. I think, as parents we often set a precedent by giving our children fancy birthday parties, toys, clothes and all their little hearts' desire. We can then not really blame them for expecting all these things from us. And sadly often they then also do not really learn to appreciate what they have. My son slept on a mattress on the floor for more than a year before we had saved enough money to buy him his own bed - which he still (2 years later) love and appreciate (along with his special Spiderman blanket). Just as a few years on a mattress on the floor will not harm a child, so too missing out on a birthday party, birthday gifts or Christmas gifts in the early years will not bother a young child at all. Young children don't need expensive gifts or birthday parties - they won't even remember their first, second or even third birthday - let alone their present or party! So if you can't afford gifts or parties, then don't feel bad about it. Just be there for your children, love them unconditionally and play with them. This will build a bond that no money can buy. In the first few years, all babies really need is your love, nourishment, protection and warmth - all of these are affordable and attainable. Your child will not one day remember the gifts he received from you but that you were there for him and that he was loved!